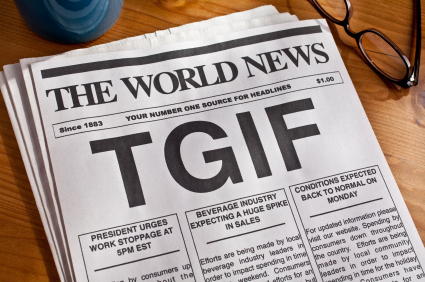 Whether it be the closing of a busy week or your local restaurant hang out, TGIF is an acronym that many are familiar with. However, for today’s post TGIF stands for “The Goal Is Frequency.” In the fitness context, frequency means how often a person exercises. As AT11 comes to a close we will have the chance to interview some of the top contestants and inquire about their frequency of workouts during the contest. Successful transformations are often achieved by those individuals who determined the frequency of their workouts to be a significant key to their success. Frequency also influences other characteristics and behaviors such as habit and momentum. Habit is in direct correlation to frequency because the more times you step into the gym to workout that habit is strengthened and cultivated. Someone who is in the habit of going to the gym regularly has a greater chance of developing momentum towards a worthwhile goal or deadline such as our transformation contests. To give an example, how exciting would it be to go to a basketball game where there were no goals and the only thing the players did was dribble and pass to one another? Hardly worth watching and even possibly a waste of time. The problem is there was nothing to shoot for… no GOAL! In conclusion, to all my brothers in Iron, I’d like to encourage both the beginners and the senior members to remember TGIF: “The Goal is Frequency.” Each time you step into the gym with an AGR workout you are armed with a game plan to achieve your “Golden” Physique, the ball is now in your court and it’s up to you to shoot for the goal… Train Hard and Good Luck!